The B40's are based on Arkel’s time tested designs. 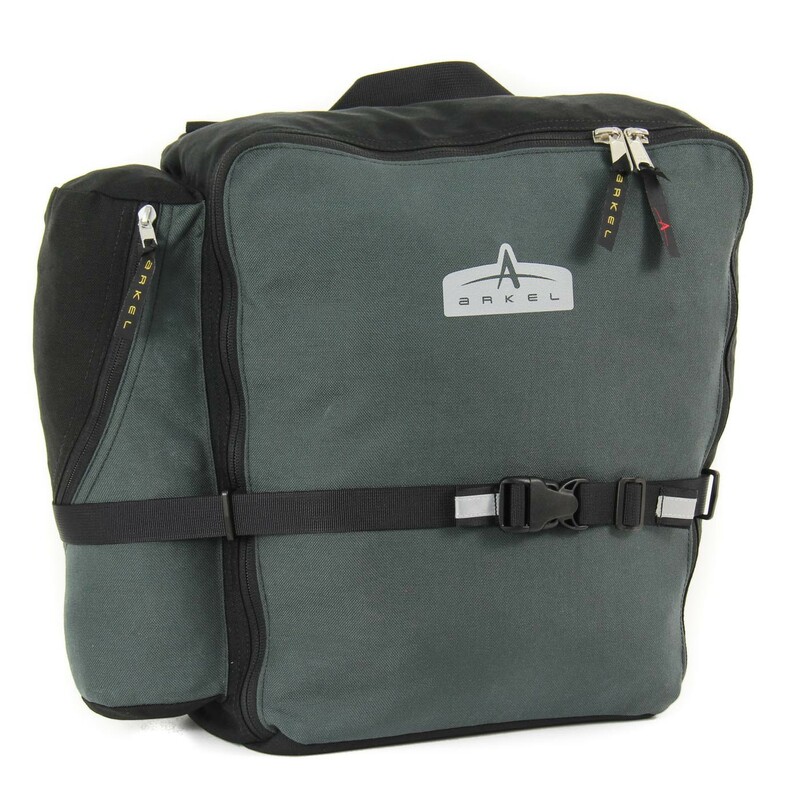 They are built with the same attention to detail, the same materials, the same quality craftsmanship and the same lifetime warranty as all Arkel bicycle panniers. 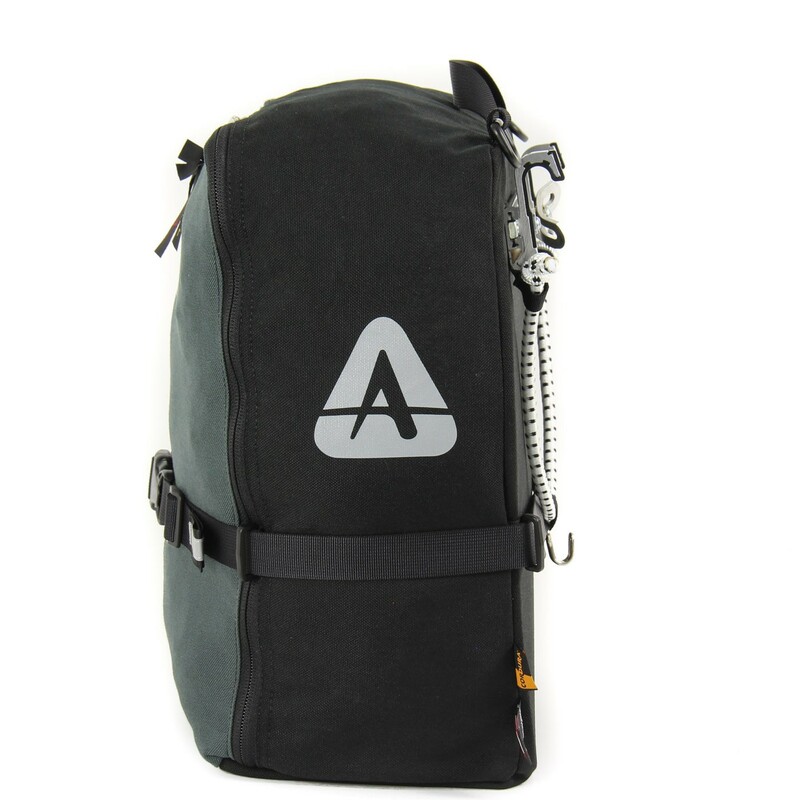 But they are built in their simplest form to offer top quality Arkel bags at a very affordable price. 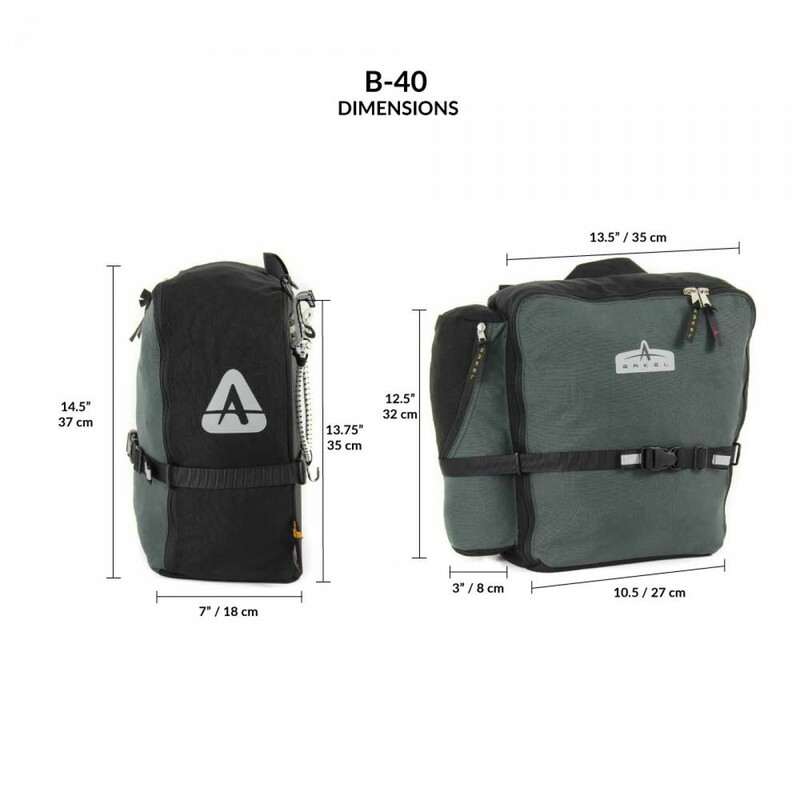 The B-40s are equipped with a manual hook system. 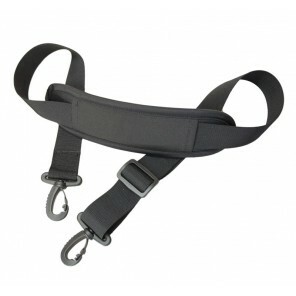 Made of strong aluminum, this system is easy to use and there are no plastic parts that can bend or break. Built with nothing but quality and value in mind, these bags are really an incredible buy! I used the Arkel B-40 and B-26 on a recumbent trike. I just made a longer rear rack about 24" and mounted both sets of panniers in the back. For the price you can not beat these panniers. I have ridden in the rain for several days at a time and with the rain fly every thing stayed dry. These still look like new and do not show signs of wear. Have used then on the complete Katy Trail which is gravel pack. Also, used on many long distance road ride, up to 600 miles per trip. The road trips will include some dirt country roads and these panniers have preformed "with out a tear. " One last thing, some of my trips are complete self supported which includes camping, cook, and repair tools which ever thing weight out at about 70#. I can haul every thing in these four bags easily. I used a set of Arkel B-40 rear and B-26 front panniers to cross the U.S. on the Northern Tier Route. Plenty large enough to hold clothes, camping gear, food, and stove kit. 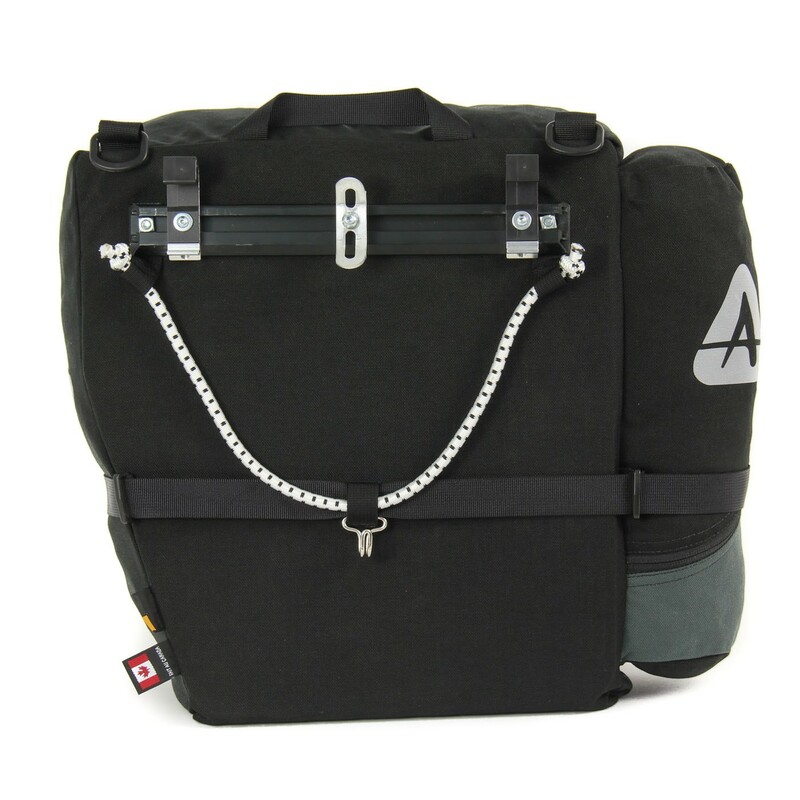 Great panniers with a very quiet and secure mounting system that will not break. No plastic parts in the mounting brackets, solid aluminum mounting system with a bungie for adjustable tension. In crossing the U.S., I rode approximately 1,000 miles of rails to trails and canal paths over everything from gravel, dirt, mud, and road base rock.